On Tuesday 11 December 2018 – SA Taxi Foundation, the corporate social responsibility arm of SA Taxi, a vertically integrated business platform designed to improve the sustainability of the minibus taxi industry, donated a vehicle to the Kingdom Power Church International (KPCI). KPCI pastor, Mr Solly Msiza, has worked closely with SA Taxi and the minibus taxi industry for the past decade in fostering conflict resolution and running various projects. The projects are aimed at including the community’s elderly in social and church activities as well as getting disabled children to and from health care and support facilities. “We are supporting Mr Msiza in his social responsibility initiatives because he devotes his life to supporting the minibus taxi industry and the community from which it draws its resources and customers,” says SA Taxi communications executive, Maroba Maduma. “The industry has a vast social impact. For that reason, everything we do as a company is geared to ensure that impact is not only sustainable but continues to ripple out to all spheres of society. “We focus on transforming the industry through shared value. So, on a day-to-day basis, we provide the financial and business means for the small businesses that are taxi operators to flourish and, in their turn, to create employment and an environment in which other businesses, such as rank mechanics and hawkers, can grow. “In addition, through SANTACO’s 25% stake in SA Taxi, we provide the means for individual members of the industry to participate in the commercial success of the industry’s extended value chain. “At a company level, therefore, our socio-economic impact is extremely broad-based. However, when it comes to specific corporate social responsibility projects, we prefer to hone in on quite small individual initiatives. 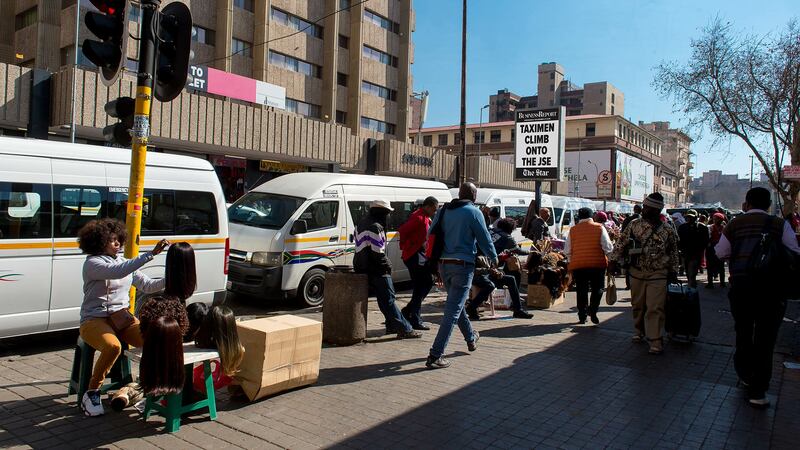 They have the ability to deliver highly personalised outcomes for vulnerable community members such as the elderly, children, and the disabled – who tend to be indirect beneficiaries of minibus taxi industry activity. The vehicle donated to Mr Msiza and the KPCI is one that has been refurbished by Taxi Mart, the SA Taxi division that ensures that operators have a high-quality second-hand market from which to source vehicles. It reduces the cost of vehicles for operators, enabling them to expand their businesses and further reinforcing the sustainability of the industry.